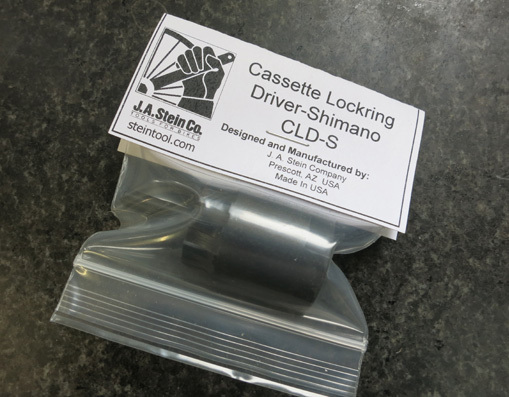 Cassette Lockring drivers for use with the Stein HyperHandle. 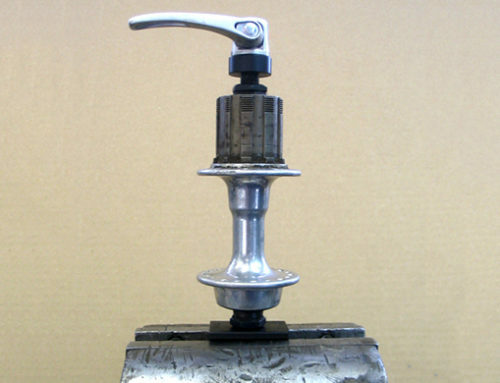 Available in Shimano/SRAM or Campagnolo versions. 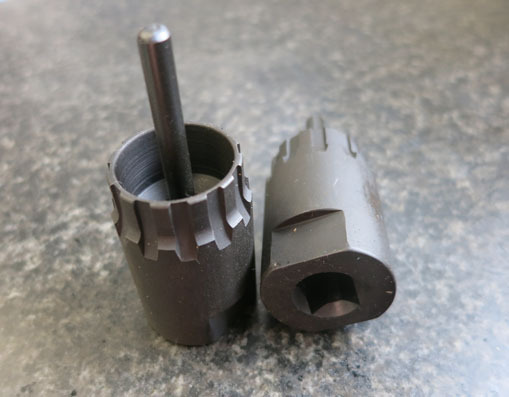 These tools use a 3/8″ drive so as to be easily used with a torque wrench to precisely install the lockrings at the correct torque. 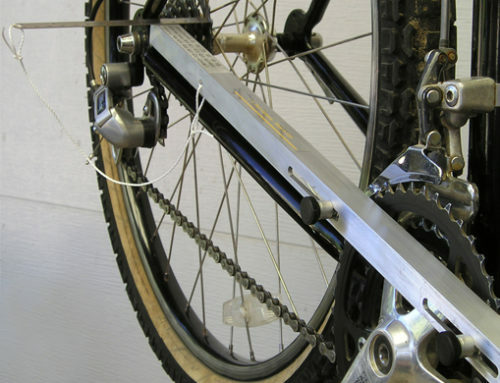 Featuring a pin in the center which permits easy alignment to the quick release axle. They also have flats on the outside for use in a bench vise. 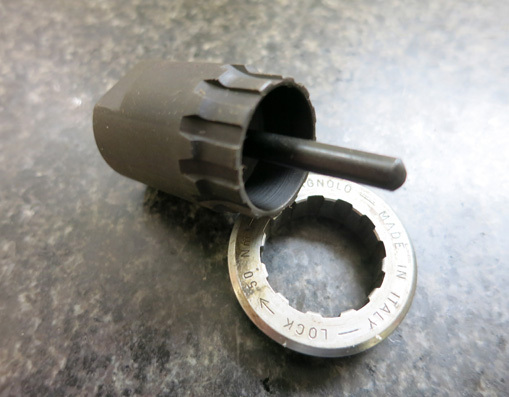 This makes for a very simple method of removing cassette lockrings when used with a Stein HyperHandle. 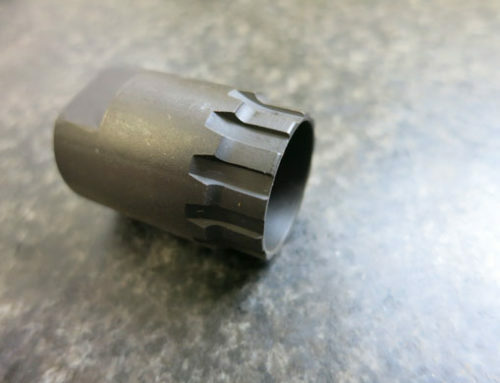 These are available for standard 5mm QR skewer hubs or 12mm oversize axles. 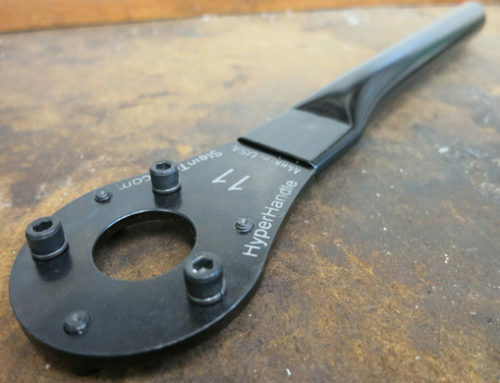 Install driver on your favorite 3/8″ drive ratchet or torque wrench. 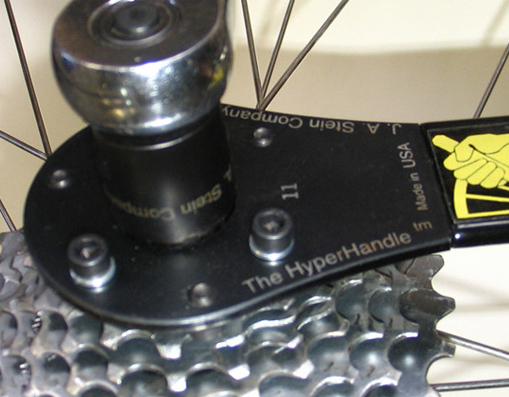 Locate driver through HyperHandle tool with the correct pins facing the cassette. Install the pin of the driver into the hub axle. 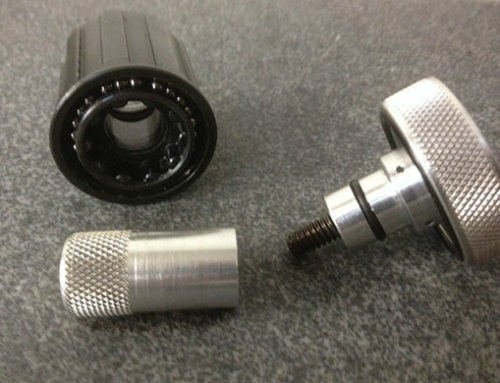 Hold cassette with HyperHandle and unscrew the lockring!